A sac caused by the swelling (dilation) of the wall of the abdominal aorta. The sac can be filled with blood clot or liquid. The abdominal aorta is the portion of the great artery that carries oxygenated blood away from the heart that is located along the back in the belly region of the body. Abdominal aortic aneurysm may be felt on examination of the belly as a pulsating mass. People with abdominal aortic aneurysm are at high risk of developing coronary heart disease (CHD) events and are considered to have a CHD risk equivalent in the ATP III recommendations. Overweight and obesity are associated with insulin resistance and the metabolic syndrome. Obesity is defined as having too much body fat. The presence of excess fat, especially in the waist area (abdominal obesity), is highly correlated with an increased risk of heart disease and other health problems. Abdominal obesity is one of the criteria used to diagnose the metabolic syndrome. A waist measurement of 40 inches (102 cm) or greater in a man or 35 inches (88 cm) or greater in a woman is considered to represent abdominal obesity. Smaller waist criteria are appropriate for Asian Americans - greater than or equal to 35 in (88 cm) for males and greater than or equal to 31 in (79 cm) for females. Adults of other races or ethnicities who have slightly increased waist sizes (37-39 inches for men and 31-34 inches for women) may have genetic factors that could contribute to insulin resistance. To measure your waist, wrap a tape measure around your abdomen at the level of your navel. Ensure that the tape measure stays level around your body (not drooping or riding up on your back) as you draw the ends together. Avoid cinching the tape measure as you take this measurement but hold the tape against your skin lightly. A medical emergency that involves chest pain or discomfort due to a heart attack (myocardial infarction) or unstable angina. Unstable angina is heart-related chest pain or discomfort that occurs without provocation, often at rest. ACS may be the first indication of heart disease. Drinking alcohol at more than moderate levels may put you at risk for serious long term health problems such as liver disease, heart disease, high blood pressure, stroke, certain forms of cancer, and pancreatitis. Alcohol also contributes to elevated serum triglycerides (fat). There is evidence that moderate drinking can have beneficial effects on the heart, especially for those at greatest risk for heart attacks (men over the age of 45 and women after menopause). The National Institute on Alcohol Abuse and Alcoholism defines moderate drinking levels by your gender and age. If you are female, it is no more than one drink per day. If you are a male age 65 or under, it means that you have no more than two drinks per day. If you are a male over the age of 65, it means drinking no more than one drink per day. Drinking at these levels usually is not associated with health risks. One drink is typically described as one 12-ounce bottle of beer or wine cooler, one 5-ounce glass of wine, or 1.5 ounces of distilled spirits. Angina pectoris is the medical term for chest pain due to heart disease. Angina is a symptom of a condition called myocardial ischemia. It occurs when the heart muscle (myocardium) does not get as much blood (hence enough oxygen) as it needs. This usually happens when one or more of the heart's coronary arteries (those that supply blood to the heart muscle) is narrowed or blocked. It is not a heart attack. The pain of angina does not mean the heart has suffered permanent damage. In contrast, a heart attack occurs when blood flow to the heart is completely cut off, causing permanent damage to the heart muscle. Typical angina is an uncomfortable pressure, fullness, squeezing or pain in the center of the chest that can radiate to the neck, jaw, shoulder, back, or arm. Many types of chest discomfort are not related to angina, such as those caused by a lung infection or inflammation, or acid reflux (heartburn). Angina occurs when the heart needs more blood (and oxygen), such as during exercise, strong emotions, or extreme temperatures. Some people, especially those with coronary artery spasm, may have angina when they are at rest. In stable angina (or chronic stable angina) episodes of chest discomfort are usually predictable. They occur with exertion (such as running to catch a bus) or under mental or emotional stress. The discomfort is usually relieved by rest and /or nitroglycerin. In unstable angina, chest pain is unexpected and usually occurs while at rest. The pain may be more severe and prolonged than typical angina or be the first time a person has angina. The most common cause is reduced blood flow to the heart muscle due to narrowing of the coronary arteries by atherosclerosis. An artery may be abnormally constricted or partially blocked by a blood clot or plaque. Prinzmetal's angina, a form of unstable angina, is caused by coronary artery spasm, and often occurs at rest. Women are more commonly affected than men. Attacks can be very painful and usually occur between midnight and 8 a.m. Severe coronary atherosclerosis can be present in at least one major vessel, but the coronary arteries may be normal. Unstable angina is an acute coronary syndrome and should be treated as an emergency. Angina can also occur with valvular heart disease (especially aortic valve disease), hypertrophic cardiomyopathy, or uncontrolled high blood pressure, although rarely. People with episodes of chest discomfort should see their physician for an evaluation. The doctor will record the person's medical history and risk factors, conduct a physical exam, order a chest x-ray, and take an EKG (electrocardiogram). Some people will also need an exercise EKG (stress test) and echocardiogram or other tests to complete the diagnosis. An X-ray test used to detect diseases of the blood vessels, such as weakening of the vessel walls and the narrowing or blocking of vessels. The X-ray is taken after the vessels have been injected with a dye that allows them to be seen on film. A combination of high triglycerides, small LDL cholesterol particles, and low HDL cholesterol which is common in patients diagnosed with early heart disease. This "lipid triad" is frequently associated with abdominal obesity, generalized obesity, insulin resistance, and physical inactivity. It is common in type 2 diabetics. It is difficult to sort out the individual contribution of each of the components of the lipid triad to the development of hardening of the arteries (atherosclerosis) so they are often combined into the single risk factor "atherogenic dyslipidemia." Atherosclerosis is a type of hardening of the arteries (arteriosclerosis) characterized by irregularly distributed lipid (cholesterol) deposits in the inner lining of large and medium sized arteries. These deposits cause fibrosis and calcification inside the vessel. This is a multistage process set in motion when cells lining the arteries are damaged by high blood pressure, smoking, high cholesterol, and toxic substances in the environment. Plaques form when low density lipoproteins accumulate at the site of damage and platelets act to form a fibrous cap over a fatty core. These plaques block and eventually will shut off blood flow. They can also become fragile and rupture. Plaques that rupture act as sites for blood clots to form. The blood clots can block flow or break off and travel to other parts of the body. If this happens and blocks a vessel to the heart muscle, it causes a heart attack. If it blocks a vessel to the brain, stroke results. Because atherosclerosis greatly increases the risk of angina, heart attack (the leading cause of death in the U.S.), and stroke, the reduction in known atherosclerotic risk factors such as high cholesterol, smoking, obesity, inactivity, high blood pressure and diabetes, is very important. Bile acid sequestrants, also known as resins, are a class of cholesterol lowering medicines that work in the gastrointestinal system. They are free of serious side effects, but the timing of doses, other medications, and meals is important because resins can decrease the absorption of other substances. The most common side effect of bile acid sequestrants is constipation. Examples of current bile acid sequestrants are cholestyramine (Questran®, Prevalite® and LoCHOLEST®), colestipol (Colestid®), and colesevelam (Welchol®). Monitoring your blood glucose is key to staying in control of your diabetes, especially if you are taking insulin. It will be essential for you to keep an accurate log of your blood sugars throughout the day so that your care provider can determine how you are responding to your diabetes care plan. If there are certain times in the day that your blood sugars are consistently low or high, your care provider will help you make adjustments to your meal plan, exercise schedule, or medication regimen. Your care provider can also help you find the blood glucose meter that is right for you so that you can easily and conveniently monitor your blood glucose levels. Blood glucose levels may be checked before (preprandial) and after (postprandial) meals. Blood glucose levels that are too high or too low can be dangerous and may require that you take actions to bring your blood glucose into a normal range. Blood glucose levels that are too low may require that you eat one more serving of carbohydrate (about 15 grams), and blood glucose levels that are too low may require that you adjust your insulin or other medications slightly. Your care providers can help set a testing schedule and acceptable range of blood glucose levels for you. Be sure to talk about the blood glucose readings that may require action, and ask them to outline a plan of action if you find yourself in this situation. Blood pressure is measured using a medical instrument called a sphygmomanometer. A rubber cuff is wrapped around a person's upper arm and inflated. When the cuff is inflated, it compresses a large artery in the arm, momentarily stopping the blood flow. Next, air in the cuff is released, and the person measuring the blood pressure listens with a stethoscope. When the blood starts to pulse through the artery, it makes a sound; sounds continue to be heard until pressure in the artery exceeds the pressure in the cuff. Two measurements are recorded while the person listens and watches the gauge. The higher (systolic) number represents the pressure while the heart is beating. The lower (diastolic) number represents the pressure when the heart is resting between beats. The systolic pressure is always stated first and the diastolic pressure second. For example: 122/76 (122 over 76); systolic = 122, diastolic = 76. Before your blood pressure is measured you should be seated quietly for 5 minutes in a comfortable environment, with your arm free of any restrictive clothing. Your arm should be supported at the level of your heart. Avoid physical exertion, temperature extremes, eating, caffeine, or smoking for 1 hour before your blood pressure is measured. The correct cuff size should be used. The blood pressure cuff should be 20% wider than the diameter of your arm. The cuff should be placed at least 2 inches about the bend in your elbow. The cuff should fit smoothly and snugly around the arm. A formula used to assess a person's body weight relative to height. It is a useful, indirect measure of body composition, because it correlates highly with body fat in most people. To calculate body mass index (BMI), weight (in kilograms) is divided by height squared (in meters squared). The units are written as kg/m2. Overweight is defined as a BMI over 25 kg/m2. Obesity is defined as a BMI over 30 kg/m2. These measurements are not as applicable to body-builders because their weight has a tendency to reflect extra muscular tissue instead of excess fatty tissue. Atherosclerotic disease of the main arteries that supply blood to the brain. Carotid artery disease may occur with or without symptoms. Symptoms of carotid artery disease include mini-strokes (transient ischemic attacks or TIAs) and stroke (cerebrovascular accidents or CVAs). The presence of symptomatic carotid disease is associated with a high risk of developing coronary heart disease (CHD) events and is considered to be a CHD risk equivalent in the ATP III recommendations. A blood test to evaluate the cells in the blood. It includes the WBC (white blood cell count), RBC (red blood cell count), and platelet count. It also contains information related to the size, shape, and contents of the red blood cells, including the hematocrit, the space the red blood cells take up; the hemoglobin, the amount of the oxygen-carrying substance contained in the red blood cells; and other red blood cell related measurements. A differential count, a count of each of the different types of white blood cells, may be included. A clot interfering with blood flow to the brain or bleeding into brain tissue causing damage. This usually interrupts normal brain function. If the circulation is impaired long enough, tissue death occurs and long lasting effects such as paralysis and sometimes impaired thought processes may result. Cerebrovascular accidents are also known as strokes. Cholesterol is a soft, waxy substance found among the lipids (fats) in the bloodstream and in all your body's cells. It is an important part of a healthy body because it is used to form cell membranes, some hormones and other needed tissues. A high level of cholesterol in the blood, however, is a major risk factor for coronary heart disease, which leads to heart attack. Clinical trials, also called research studies, test new treatments in people with heart disease and high cholesterol. The goal of this research is to find better ways to treat heart disease and high cholesterol, and to help patients with these problems. Clinical trials have been responsible for the many advances in heart disease treatment and in improving health care. Clinical trials test many types of treatment such as new drugs or combinations of drugs. Clinical trials have also provided information on how to prevent heart disease and high cholesterol. Many of today's most effective standard treatments are based on previous study results. Clinical trials may also suggest future research directions. Because of progress made through clinical trials, many people treated for heart disease and high cholesterol are now living longer. Cholesterol and triglyceride values may be expressed in mg/dL or in mmol/L. In the United States, they are most commonly expressed in mg/dL. To convert cholesterol values in mg/dL to values in mmol/L, multiply by 0.0259. To convert triglyceride values in mg/dL to values in mmol/L, multiply by 0.0113. To convert cholesterol values in mmol/L to values in mg/dL, divide by 0.0259. To convert triglyceride values in mmol/L to values in mg/dL, divide by 0.0113. The following table shows key cholesterol and triglyceride values in both mg/dL and mmol/L. The term coronary artery disease (CAD) is often used interchangeably with coronary heart disease (CHD). See "coronary heart disease" for more details. A type of hardening of the arteries (arteriosclerosis) characterized by irregularly distributed lipid (cholesterol) deposits in the inner lining of large and medium sized arteries. These deposits cause fibrosis and calcification inside the vessel. This is a multistage process set in motion when cells lining the arteries are damaged by high blood pressure, smoking, high cholesterol, and toxic substances in the environment. Plaques form when low density lipoprotein (LDL) cholesterol accumulates at the site of damage and platelets act to form a fibrous cap over a fatty core. These plaques block and eventually will shut off blood flow. They can also become fragile and rupture. If this happens and blocks a vessel to the heart muscle, it causes a heart attack. The reduction in known coronary heart disease risk factors such as high cholesterol, smoking, obesity, inactivity, high blood pressure and diabetes, is very important in reducing the risk of heart attack and other complications. The terms coronary artery disease (CAD) and coronary heart disease (CHD) are often used interchangeably. Diabetes mellitus and a combination of multiple risk factors (age, total cholesterol, HDL cholesterol, smoking, and blood pressure) that give greater than 20% 10-year coronary heart disease risk are also CHD risk equivalents. The LDL cholesterol goal recommended by ATP III is less than 100mg/dL. Creatinine Phosphokinase (CPK) is a protein commonly found in heart, muscle and brain tissue. Its blood levels can be high when any of these tissues are damaged. It can be used to help diagnose myopathy that can be a complication of some cholesterol lowering medications. High CPK levels are not specific to myopathy, however; for example, they may also be elevated due to vigorous exercise, intramuscular injections, alcoholism, hypothyroidism and other causes. Some providers draw a CPK level prior to starting certain cholesterol medications so that they have a baseline measurement in case myopathy ever does become a concern. The DASH diet (Dietary Approaches to Stop Hypertension) is an eating plan that studied the effects of nutrients on blood pressure. The study found that an eating plan low in saturated fat, total fat, and cholesterol, and rich in fruits, vegetables, and low fat dairy foods reduced blood pressure. Systolic blood pressure (top number) was significantly reduced by an average of 11.4 mmHg and diastolic blood pressure (bottom number) by an average of 5.5 mmHg. The diet includes whole grains, fish, poultry, and nuts, with reduced amounts of red meats, sweets, and sugary drinks. The DASH diet is also high in potassium, calcium, and magnesium rich foods that some researchers have found can also help lower blood pressure. A second study, DASH-Sodium, studied the effect on blood pressure of a lowered salt intake when either a DASH diet or a typical American diet was followed. The results showed that lowering the amount of salt in the diet lowered blood pressure in both eating plans, but the biggest reduction occurred in the group following a low salt diet and the DASH diet. Systolic blood pressure (top number) was lowered by 11.5 mmHg in participants with hypertension (12.6 mmHg for African Americans, 9.5 mmHg for others) and 7.1 mmHg in participants without hypertension, and by 6.8 mmHg in men and 10.5 mmHg in women. * Based on a 2000 calorie per day diet. Diabetes mellitus is the inability of the body to produce or respond properly to the hormone insulin. The body needs insulin to convert glucose ("blood sugar") to energy. Diabetes is diagnosed by a fasting plasma glucose of 126 mg/dL or more measured on two occasions. In Type 1 diabetes, the body is not making insulin, therefore, insulin injections are the foundation of treatment. In Type 2 diabetes, the body makes insulin, but is not able to use it properly. This is lack of ability to utilize insulin is called insulin resistance and may be treated with oral medications and/or insulin. Either type of diabetes markedly increases one's risk of coronary heart disease and its consequences. For the purposes of the ATP III recommendations, diabetes is considered a coronary heart disease equivalent. Diabetes is a major risk factor for stroke and is now recognized as a major risk factor for coronary heart disease, which leads to heart attack. People with diabetes may avoid or delay heart and blood vessel disease by controlling their other risk factors. It is especially important to control weight and blood cholesterol with a low-saturated-fat, low-cholesterol diet and regular exercise. It is also important to lower high blood pressure and avoid smoking. Triglyceride level below 150 mg/dL. LDL (Low density lipoprotein) or "bad" cholesterol has been identified as the primary target of therapy for diabetic patients, including those with diabetic dyslipidemia. High triglycerides appear to be an independent risk factor for coronary heart disease in individuals with diabetes. Improvements in blood sugar control can improve triglycerides so that additional medical therapies may not be needed. The systolic pressure is always stated first and the diastolic pressure second. For example: 122/76 (122 over 76); systolic = 122, diastolic = 76. Blood pressure of less than 120/80 is considered a normal reading for adults. A systolic pressure of 120 to 139 or a diastolic pressure of 80 to 89 is considered to be prehypertensive. A blood pressure reading equal to or greater than a systolic pressure of 140 or a diastolic pressure equal to or greater than 90 is considered elevated or high. Cholesterol plays a similar role in animals as it does in humans. It is a component of cell membranes and some hormones. It also has other functions. Foods from animals contain cholesterol. Cholesterol is not found in plant products. Often referred to simply as an "echo", an echocardiogram is a technique that sends soundwaves into the chest to rebound from the heart's walls and valves. The information received from the rebounding soundwaves is translated onto an imaging screen. An echo allows the shape, texture, movement, and function of the heart's chambers and valves to be determined. An echo is best at evaluating the left side of the heart. The technique does not hurt or pose a risk to people. Although the reasons are not completely understood, some races have higher rates of heart disease than others. African Americans have more severe high blood pressure than Caucasians and a higher risk of heart disease. African American women have the highest risk of risk of death from heart disease and are experiencing an increase in their heart attack rates. Heart disease risk is also higher among Mexican Americans, American Indians, Native Hawaiians and some Asian Americans. This is partly due to higher rates of obesity and diabetes in those races. Just as you cannot control your age, gender or family history, you cannot control your ethnicity. However, you can modify, treat, or control several other risk factors to lower your risk of coronary heart disease. Familial hypercholesterolemia (FH), also known as heterozygous familial hypercholesterolemia or monogenic hypercholesterolemia, is the most common genetic disorder of high cholesterol in populations of European descent. Approximately one in 500 people have it. It is a dominantly inherited disorder which means it only takes one abnormal gene to get the disorder. In people who get both genes for the disorder, who do not get treated, half of male and 15% of females die before age 60. Patients with familial hypercholesterolemia are at an increased risk of premature coronary heart disease. Most patients with familial hypercholesterolemia are unaware of their disorder, or are inadequately treated because their coronary heart disease risk is underestimated by the Framingham Risk Score. Most patients are not overweight and do not have other coronary heart disease risk factors. However, they have had elevated cholesterol from birth. In heterozygous adults (adults with only one abnormal gene) with familial hypercholesterolemia, life-long treatment with lipid lowering medicines is indicated. These medicines will slow down progression of the disease, as judged by coronary angiography. Patients with familial hypercholesterolemia and severely raised LDL cholesterol showed regression of atherosclerosis when LDL cholesterol was aggressively lowered by 45%. Since patients with familial hypercholesterolemia have LDL cholesterol concentrations in a much higher range than most with coronary heart disease, these goals are seldom met. Aggressive treatment with statins is recommended. Family screening must be done for first degree relatives (parents, brothers, sisters and children), and strongly considered other relatives also. An important unanswered question is when treatment should be started. A commonly held view is that men should be treated from their late teens, and women from their late twenties or late thirties. A tendency toward heart disease or atherosclerosis seems to be hereditary. That means children of parents with heart and blood vessel diseases are more likely to develop them. The Adult Treatment Panel III identifies the early development of coronary heart disease (before the age of 55 years in men and before the age of 65 in women) in first degree relatives (parents, brothers, sisters and children) as a major risk factor for CHD events such as heart attack or stroke. A family history of diabetes, gout, high blood pressure or high blood cholesterol also increases the risk of heart disease. The risk of stroke is increased by a family history of high blood pressure, heart disease or stroke. Fibrates (fibric acid derivatives) are a class of cholesterol lowering medicines with a complex mechanism of action which produce similar results as bile acid sequestrants. Usually, fibrates are not used as first choice medicines in the treatment of cholesterol abnormalities. Fibrates are most effective at lowering triglycerides (blood fats). Additionally, they act to elevate the levels of HDL (good) cholesterol. Fibrates may be used in combination therapy with the statins. Examples of fibrate medicines are gemfibrozil (Lopid®) and fenofibrate (Antara®, Lofibra®, Tricor®, and Triglide). An ongoing portion of the Framingham Heart Study that is following children of the original Framingham study participants as well as their spouses. 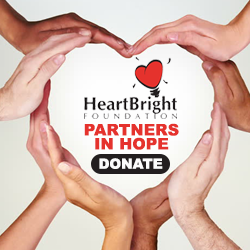 As the group of children have aged, they have been observed for the development of heart-related chest pain (angina pectoris), heart attack (myocardial infarction), cardiac death, stroke, high blood pressure, peripheral arterial disease and heart failure. One important aspect of this study is that, by following the children of the original Framingham participants, the contribution of heredity can be examined more closely and accurately. The Framingham Risk Score is used in the ATP III guidelines to determine risk categories for individuals who have multiple (2 or more) cardiac risk factors. For more information, see "Adult Treatment Panel III"
Concretions (stones) formed in the gallbladder. The gallbladder acts as a storage reservoir for bile, which is produced by the liver. Bile is important in the digestion of fats and cholesterol. Gallstones are a common gastrointestinal disorder with 10% of men and 20% of women having gallstones by age 65. The cholesterol lowering medicines known as fibrates have been associated with the formation of gallstones in 1% of patients. Gallstones can block the tube (duct) that allows bile to flow into the digestive tract. This blockage can cause severe upper abdominal pain. Any symptoms of stomach problems must be reported to your doctor. Family members of patients with genetic forms of high cholesterol should be tested. General testing of young adults starting from age 20 should be done every 5 years. Check with your doctor for further information. A form of metabolic disorder in which uric acid crystals are deposited into the cartilage tissues of the body, causing acute inflammation. The big toe is characteristically involved, becoming swollen, red, and painful. Uncontrolled gout can be a cause of a specific type of arthritis called gouty arthritis. A blood test for uric acid can determine if gout is present. Niacins have been associated with worsening gout, and should be used with caution in patients with known gout. About one-third to one-fourth of blood cholesterol is carried by high-density lipoprotein or HDL. HDL cholesterol is known as "good" cholesterol because a high level of HDL cholesterol seems to protect against heart attack. The opposite is also true: a low HDL cholesterol level indicates a greater risk. It is not entirely clear how HDL cholesterol plays a role in coronary heart disease, however, some evidence suggests that promotes the removal of LDL cholesterol from the cells that contribute to plaque formation. It may also inhibit the formation of plaques. The current recommended level for HDL cholesterol is greater than or equal to 40 mg/dL for men and greater than 50 mg/dL for women. The medical term for heart attack is myocardial infarction. A heart attack occurs when the blood supply to part of the heart muscle (the myocardium) is severely reduced or stopped. This occurs when one or more of the coronary arteries that supply blood to the heart muscle is blocked. The blockage is usually from the buildup of plaque (deposits of fat-like substances) due to atherosclerosis. The plaque can eventually tear or rupture, triggering a blood clot to form that blocks the artery and leads to a heart attack. Such an event is sometimes called a coronary thrombosis or coronary occlusion. If the blood supply is cut off severely or for a long time, muscle cells suffer irreversible injury and die. Disability or death can result, depending on how much heart muscle is damaged. Sometimes a coronary artery temporarily contracts or goes into spasm. When this happens the artery narrows and blood flow to part of the heart muscle decreases or stops. What causes a spasm is unclear. Spasm can occur in normal-appearing blood vessels as well as vessels partly blocked by atherosclerosis. If a spasm is severe, a heart attack may result. Coronary artery disease - narrowed or blocked arteries that supply blood to the heart muscle are unable to supply the heart with enough oxygen to meet its needs. Previous heart attack (myocardial infarction) - scar tissue interferes with the heart muscles' ability to contract. High blood pressure - the constant need to pump harder to counteract the high pressure in the blood vessels eventually weakens the heart. Valvular heart disease - the diseased valves interfere with the normal function of the heart. Valvular disease may be due to past rheumatic disease or other causes. Cardiomyopathy - the heart muscle itself is diseased and does not function normally. Congenital heart disease - defects in the heart present at birth interfere with the normal function of the heart. Endocarditis or myocarditis - inflammation of the inner (endocardial) or muscular (myocardial) layers of the heart interferes with the normal function of the heart. The failing heart keeps working, but inefficiently. Because the heart is not able to pump as much blood, fluid can build up in the body. This may be seen as swelling (edema), most commonly in the lower legs and ankles. Heart failure also reduces the kidneys' ability to dispose of sodium and water, making edema worse. Fluid can also collect in the lungs and interfere with breathing, causing shortness of breath. Fatigue and shortness of breath can occur with mild activity, or even at rest in severe cases. This can be worse when lying down. About one-third to one-fourth of blood cholesterol is carried by high-density lipoprotein or HDL. HDL cholesterol is known as "good" cholesterol because a high level of HDL cholesterol seems to protect against heart attack. The opposite is also true: a low HDL cholesterol level indicates a greater cardiac risk. It is not entirely clear how HDL cholesterol plays a role in coronary heart disease; however, some evidence suggests that it promotes the removal of LDL cholesterol from the cells that form the plaque, which could reduce the size of the plaque. It may also inhibit the formation of plaques. The current recommended level for HDL cholesterol is greater than or equal to 40 mg/dL for men and greater than 50 mg/dL for women. The upper limit for HDL cholesterol has not been set, but evidence suggests raising HDL levels reduces cardiac risk. Low HDL cholesterol is closely associated with the metabolic syndrome, a group of lipid (cholesterol-related) and non-lipid factors. The factors are high triglycerides (fats), low HDL cholesterol (defined as less than 40 mg/dL in men, and less than 50 mg/dL in women for the purposes of diagnosing metabolic syndrome), high blood pressure, abdominal obesity, and impaired fasting glucose. Patients receiving drug therapy for high triglycerides, low HDL cholesterol, high blood pressure, or high blood sugar are considered to have those risk factors. As with other lipid abnormalities, lowering the LDL cholesterol is usually the primary target of therapy for individuals with low HDL cholesterol. Frequently, high triglycerides are also present. If this is the case, lowering the non-HDL cholesterol, which is calculated by subtracting the HDL cholesterol from the total cholesterol (TC-HDL= non-HDL), is recommended as the secondary target of therapy. When triglycerides are less than 150 mg/dL, then the condition of "isolated low HDL cholesterol" exists. In this condition, medicines to raise HDL cholesterol may be considered, especially for someone who already has coronary heart disease (CHD) or a CHD equivalent risk. Weight reduction and increased physical activity are an important component of therapy, regardless of whether or not medications are used, especially in the setting of metabolic syndrome. Quitting smoking and managing other coexistent conditions are also important. In February 2004 the American Heart Association updated its Guidelines for Cardiovascular Disease Prevention in Women with new recommendations for postmenopausal hormone therapy. Combined hormone therapy is not recommended for the prevention of heart disease and stroke in postmenopausal women. The Guidelines recommended a conservative approach to the use of estrogen-alone hormone therapy until further research is available. Data from both the estrogen-only and the combined estrogen and progesterone arms of the WHI trial did not support the use of hormone therapy to prevent cardiovascular disease. Its use for other reasons should be cautiously considered with the advice of a physician. Hormones may relieve menopausal symptoms, but women and their healthcare providers should weigh the potential risks of therapy against the potential benefits. Because the evidence suggests that the risk associated with the length of use of hormone therapy, it is recommended that women who use hormone therapy use if for the shortest duration possible. There are two major types of lipids (fats) in the bloodstream: cholesterol, which most people are familiar with, and triglycerides. Both types are necessary for your body to function normally. Cholesterol is a wax-like substance that helps to build your cells, and triglycerides are fats that produce energy for your body. Special proteins called lipoproteins carry lipids through the bloodstream to your cells. Hyperlipidemia is a general term for elevated lipids in the blood. High blood pressure, or hypertension, is defined in an adult as a systolic pressure of 140 mmHg or higher and/or a diastolic pressure of 90 mmHg or higher. In the United States, blood pressure is measured in millimeters of mercury (mmHg) with the systolic blood pressure written on top and the diastolic on the bottom. In countries outside the US, blood pressure is measured in centimeters of mercury (cmHg). A blood pressure of 140/90 mmHg is the same as a blood pressure of 14/9 cmHg. It is important to note that, in people with diabetes, the recommended blood pressure goal is lower than 130/80 mmHg. A metabolic disorder in which the thyroid gland, located in the neck, does not produce enough thyroid hormone to meet the body's needs. Hypothyroidism is a secondary cause of high cholesterol. Impaired fasting glucose is defined as a fasting (8 hours) blood sugar measurement between 100-125 mg/dL. Fasting blood glucose levels above 125 mg/dL are considered diabetic. Elevated fasting blood sugars are associated with the condition known as insulin resistance, a condition in which the body's use of insulin is impaired. Excess body fat and physical inactivity promote the development of insulin resistance. Elevated fasting blood sugar is one component of the "metabolic syndrome", a combination of lipid and non-lipid factors that can include elevated triglycerides, low HDL cholesterol, and elevated blood pressure. Metabolic syndrome increases the lifetime risk of coronary heart disease. Insulin resistance is a generalized metabolic disorder in which the normal actions of insulin are impaired. Insulin is a hormone that helps the body control blood sugar levels. Excess body fat (especially abdominal obesity) and physical inactivity promote the development of insulin resistance, but some people also are genetically predisposed. The major function of the kidney is to regulate the body's fluid volume, mineral composition and acidity. This occurs by regulating excretion and reabsorption of water and inorganic electrolytes to achieve total-body balance of these substances and maintain their normal concentrations in the extracellular fluid. Low density lipoprotein (LDL) is the major cholesterol carrier in the blood. Elevated LDL cholesterol is a major cause of coronary heart disease (CHD). The lowering of LDL cholesterol is the primary target of cholesterol lowering therapy. A level of LDL cholesterol above optimal (100 mg/dL) reflects an increased risk of heart disease. LDL cholesterol lowering therapy lowers risk for coronary heart disease. That is why LDL cholesterol is often called "bad" cholesterol. If too much LDL cholesterol circulates in the blood, it can slowly build up in the walls of the arteries feeding the heart and brain. Together with other substances it can form plaque, a thick, hard deposit that can clog those arteries. This condition is known as atherosclerosis. A clot (thrombus) that forms in the region of this plaque can block the flow of blood to part of the heart muscle and cause a heart attack. If a clot blocks the flow of blood to part of the brain, the result is a stroke. Lifestyle habits and co-existing diseases can increase a person's cardiac risk beyond that associated with their cholesterol levels. By modifying habits and managing other diseases, a person can improve their cholesterol and lower their overall cardiac risk. Lifetime risk estimates the possibility of developing a condition before dying from another cause. Two studies have examined the risk of developing coronary heart disease in one's lifetime. None of the participants had any evidence of coronary heart disease at the start of the studies. The first study evaluated lifetime risk based on age and gender. The second study refined the first by taking into account total cholesterol levels. These studies found that, even though a person's risk of developing a coronary heart disease in the near future might be low, his or her lifetime risk may be much higher. This is important because coronary heart disease occurs as a result of a process that takes place slowly over the lifetime. Individuals at low short term risk, but higher long term risk may benefit from early lifestyle interventions. Some with higher cholesterol levels may benefit from medical therapy as well. The following tables show the lifetime risk of developing "hard" cardiac events, which are defined as heart attacks and cardiac death. The first table shows the risk without considering baseline cholesterol levels, and the second table shows risk with the consideration of baseline cholesterol levels. It is important to remember that these are "population" risks, in other words, if you take a large group of people that meet the criteria above, their risk will average out to be near the risk shown. Each person is an individual, however, and may have additional factors, such as family history, lifestyle habits, and others, that raise or lower his or her personal risk. Lp(a) is a genetic variation of plasma LDL cholesterol. A high level of Lp(a) is an important risk factor for developing atherosclerosis prematurely. How an increased Lp(a) contributes to heart disease is not clear. Abnormalities or damaged areas in artery walls contain substances that may interact with Lp(a), leading to the buildup of lipids in atherosclerotic plaques. Lipoproteins are the particles that transport cholesterol through the blood. They are composed of both protein and lipid. There are three main types of lipoproteins, low density lipoproteins (LDL), high density lipoproteins (HDL), and very low density lipoproteins (VLDL). LDL cholesterol is often called "bad" cholesterol because LDL cholesterol has been strongly associated with the development of coronary heart disease. HDL cholesterol is often called the "good" cholesterol because high HDL cholesterol levels help protect against the development of heart disease. VLDL cholesterol contains both triglycerides and cholesterol. VLDL cholesterol can be converted to LDL cholesterol. Total cholesterol, LDL cholesterol and HDL cholesterol are typically measured in a standard lipid panel. VLDL cholesterol levels can be approximated by subtracting the HDL cholesterol and LDL cholesterol levels from the total cholesterol level. Liver enzymes are active proteins that are produced in the liver. Normally, a small amount of these enzymes circulate in the blood stream. Increases in circulating liver enzymes can indicate liver damage. Some cholesterol medications can cause liver enzyme levels to rise. Small increases in liver enzymes may not be associated with distinguishable liver damage, but if the levels rise to and stay at greater than 3 times normal, discontinuing the medication is generally recommended. Liver enzyme levels can be measured using a blood test. Liver function testing is an important and necessary part of high cholesterol treatment and follow up. Liver function testing is necessary when statins or niacin are used, as they have the potential complication of altered liver functions. It is also necessary when a combination of cholesterol lowering medicines is used to reach goal levels. A liver function blood test is a combination of the common enzymes and breakdown products of the liver. A standard panel consists of 4 measurements; AST (aspartate transaminase), ALT (amino alanine transferase), alkaline phosphatase (AP), and bilirubin. Elevation of these tests to three times normal value indicates a problem. The risk of liver problems due to statin or niacin use is related to the dose of the medication; there is a lower risk with lower doses and a higher risk with higher doses. Some extended-release forms of niacin may also have a greater risk of liver problems. If elevated liver function tests are discovered, the cholesterol medicines you are taking will usually be stopped immediately, and withheld until the levels return to normal. This usually happens over a short period of time. Your doctor may lower your dose and start combination therapy or change your cholesterol lowering medicines to another class at this time. Age (men age 45 or older, women age 55 or older). * HDL cholesterol of greater than or equal to 60 mg/dL counts as a negative risk factor and decreases the risk factor count by one. Recently, the American Heart Association has released recommendations that have redefined normal HDL cholesterol in women as more than 50 mg/dL. In some ways, meal patterns recommended for persons with diabetes do not greatly differ from any other well-balanced meal patterns. Contrary to many popular myths, you will not need to stop eating any carbohydrate-containing foods. If you already have a well-balanced diet, there may only be a few minor changes to make to your current diet. The important thing to keep in mind is that, at least for a little while, you will have to be more aware of what you are eating throughout the day. A diabetic meal plan aims for consistent carbohydrate intake at meals and snacks, and the focus is on the total amount of carbohydrate eaten at each meal. Carbohydrate-containing foods directly increase blood sugar, and they include starches, sugar, and fiber. Research performed in the Diabetes Control and Complications Trial (DCCT) suggests that the amount of carbohydrate consumed is more important than the type. In other words, a meal containing starches and a meal containing sugar (sweets) will both increase blood sugar to a similar extent as long as the total amount of carbohydrate remains the same. The old philosophy in which sugary foods were "not allowed" in diabetes management is simply not true. While having diabetes does not mean that you have to avoid sugary foods altogether, it is best for your blood sugar control and for your long-term health to eat them in moderation. Think of your carbohydrate intake as a monetary budget. That "budget" is created to maximize your dollar. Sugary foods spend your carbohydrate budget much faster and with much less nutritional value than do whole grains, fruits, and vegetables, which are high in fiber and have heart-protective nutrients. Additionally, foods high in sugar also tend to be higher in fat and calories. While many foods contain carbohydrates, you will need to focus mainly on the carbohydrate-containing foods that have around 15 grams of carbohydrate or more per serving. Below is a limited list of carbohydrate foods and their serving sizes. For a more detailed list, refer to the American Diabetes Association Exchange Lists for Meal Planning Guide, which you may be able to receive from your registered dietitian or physician. Please note that most vegetables are considered "free" carbohydrates in diabetic meal planning, with the exception of vegetables that are high in starch (see table below). Usually, people who take insulin choose one of two methods for managing their diets in relation to their insulin and medication regimens - carbohydrate counting or the exchange method. Most clinicians would recommend carbohydrate counting for managing your meal pattern. Carbohydrate counting is based on the premise that one serving of carbohydrate is equivalent to about 15 grams of carbohydrate. Fortunately, most packaged foods list the number of carbohydrate grams on the Nutrition Facts label. However, it would be helpful for you to learn some basic serving sizes for commonly eaten carbohydrate foods, such as those listed in the table above. With the carbohydrate counting method, patients are instructed to read labels and aim for a certain number of carbohydrate servings at each meal. Patients are taught which foods are carbohydrate-based and the serving sizes of each food item that equal around 15 grams of carbohydrate. A registered dietitian, nurse educator, or your physician will help you determine how many daily carbohydrates are right for you based on your total daily dose (TDD) of insulin. If you use insulin, you may hear your care providers talk about your "carbohydrate-to-insulin" ratio. This is a calculation of how many carbohydrates you can eat per one unit of insulin lispro (Humalog®), insulin aspart (NovoLog®), or regular insulin that you take. Once your care provider determines the number of grams of carbohydrates that are right for you each day, he or she can then help you divide those servings among your meals and snacks as appropriate. Although the carbohydrate counting method focuses primarily on carbohydrates, it will also be important to include proteins and fats in each meal and snack. Lean meats, fish, cheeses, nuts, and healthy oils (like canola or olive oil) help to slow sugar release to the blood while providing important nutrients to the body. Proteins and fats will also help you avoid being hungry too quickly after meals. Talk with your dietitian about how to incorporate these foods into your diet in moderation. The distinction should also be made between a diabetic diet and a healthy diet; they are not necessarily one and the same. You may be able to eat a cheeseburger and an ice cream cone and still manage your blood sugars with appropriate amounts of insulin or oral medications and exercise; you may even be able to maintain blood sugar control with this type of a diet. However, a nutritionally balanced diet, rich in fruits, vegetables, and whole grains, will not only put you at lower risk for heart disease, but it will also improve your likelihood of maintaining consistently good blood sugar control. If you have recently been diagnosed with diabetes, your physician will most likely refer you to a registered dietitian, who can help you design a meal pattern that specifically meets your preferences and nutritional requirements in relation to any medications or insulin that are prescribed. As you make changes to your diet to stay in blood sugar control, use this opportunity to also make improvements to your diet that will improve your long-term health and reduce your risk of diabetic complications. Eating a "Mediterranean diet" typically means consuming large amounts of fruits and vegetables, breads and cereals, potatoes, beans, nuts and seeds. Olive oil is used and is a source of monounsaturated fats. Very little red meat is eaten and dairy products, fish and poultry are eaten in low to moderate amounts. Eggs are eaten no more than 4 times per week and wine in consumed in low to moderate amounts. The Mediterranean diet is close to the diet recommended by the American Heart Association (AHA), but contains a higher percentage of calories from fat. Even so, the saturated fat content is lower than that in the typical American diet and falls within the AHA recommendations. Most of the fats in the Mediterranean diet are monounsaturated and are from the olive oil. Monounsaturated fats do not cause cholesterol levels to increase the way saturated fats do. Before the age of menopause, many women seem to be partly protected from coronary heart disease, heart attack, and stroke compared to men. Several population studies show that the loss of natural estrogen as women age may contribute to a higher risk of heart disease and stroke after menopause. As menopause approaches, a woman's risk of heart disease and stroke begins to rise and keeps rising as she ages. If menopause is caused by surgery to remove the uterus and ovaries, the risk rises sharply. If menopause occurs naturally, the risk rises more slowly. Women before menopause have less risk of heart disease and stroke even when compared to men with the same risk factors, so their advantage can not be due solely to having fewer risk factors. Menopause appears to increase female risks of coronary heart disease and stroke. Studies show that women after menopause have higher levels of triglycerides, cholesterol, very low-density lipoprotein (VLDL) cholesterol, and low-density lipoprotein (LDL) cholesterol than women before menopause. These changes are due to a combination of factors, including weight gain, the effects of menopause (including loss of the hormone estrogen) and aging. Metabolic syndrome is a cluster of both lipid (cholesterol and triglyceride related) and non-lipid risk factors in which the lifetime risk of coronary heart disease is increased regardless of LDL cholesterol level. Three of the risk factors can be measured by blood testing: high triglycerides (fats), low HDL cholesterol, and high fasting glucose. The other risk factors, abdominal obesity and high blood pressure, can be determined on exam. These risk factors are often related to lifestyle factors, such as obesity and physical inactivity, that contribute to your overall cardiac risk. Metabolic syndrome is often related to underlying genetic (inherited) factors, and therefore tends to occur frequently in affected families. It is estimated that approximately 22% or 47 million US adults have metabolic syndrome. * Smaller waist criteria are appropriate for Asian Americans - greater than or equal to 35 inches (88 centimeters) for males and greater than or equal to 31 inches (79 centimeters) for females. Adults of other races or ethnicities who have slightly increased waist sizes (37-39 inches for men and 31-34 inches for women) may have genetic factors that could contribute to insulin resistance. ** Patients who are taking either fibrates or niacin are presumed to have elevated triglycerides or low HDL cholesterol as these medications are useful to treat either. Treat the associated non-lipid and lipid risk factors. The foundation of treatment for metabolic syndrome is physical activity and weight control. This is of great importance because it affects all aspects of the syndrome. Cholesterol is measured not only as a total, but also as the measurement of the two major cholesterol types, HDL or "good" cholesterol, and LDL or "bad" cholesterol. Triglycerides, or fat, can also be elevated, representing an additional risk. When there are different cholesterol elements that are out of normal range and need to be managed, this is known as "mixed dyslipidemia." Mixed dyslipidemia can often be treated using only one type of medication. If necessary, a combination of medications may be necessary to treat the different lipid disorders. Any sustained activity in which the effort is equivalent to that of a healthy individual engaging in brisk walking. While the participants should feel like they are exerting themselves, they should still be able to carry on a conversation comfortably. The American College of Sports Medicine, the American Heart Association, and the Centers for Disease Control and Prevention recommend that people walk or engage in other moderate-intensity exercises for at least 30 minutes five or more days a week. This type of activity burns 3.5 to 7 Calories per minute. Risk factors you are able to change or control. Examples of modifiable risk factors are high cholesterol, high blood pressure, smoking , obesity, diabetes, and sedentary behavior. Fat chains have places where hydrogen can be attached. When all potential hydrogen spots are filled, the fat is "saturated". When all potential hydrogen spots are not filled, the fat is "unsaturated". If only one spot is empty, the fat is "monounsaturated." Monounsaturated fats can help lower cholesterol when substituted for saturated fats. They are often liquid at room temperature. Examples include olive oil and canola oil. Even though they can help reduce your LDL cholesterol levels, they are still high in calories and should not be used in excess. Myopathy is a serious toxicity to the muscle cells. It is a possible side effect of fibrate and statin cholesterol lowering medicines. In extreme cases, rhabdomyolysis, a condition where larger amounts of broken-down muscle cell components get into the bloodstream and cause kidney damage as well, may occur. Symptoms of myopathy typically include muscle pain or weakness, although the first indication may be a brownish discoloration of the urine. If you have any symptoms of muscle fatigue, weakness, or pain, you must be report it to your doctor immediately. Creatinine phosphokinase (CPK) may be measured to look for evidence of myopathy. This is an enzyme that is released by muscle cells, high levels can indicate muscle damage. CPK is not routinely measured. If elevated CPK levels are discovered, the cholesterol medicines you are taking will be stopped and withheld until the levels return to normal. This usually happens over a short period of time. Your doctor may change your cholesterol medicines to another class at this time. Inflammation of muscle cells resulting in muscle pain. It is a possible side effect of cholesterol lowering medications. Myositis is a type of myopathy. Niacin (nicotinic acid) is used to treat high LDL cholesterol, low HDL cholesterol, and high triglycerides. Niacin has favorable effects on all aspects of lipid management. It is the most potent medicine for raising HDL (good) cholesterol. It is available as an immediate-release and as a slow-release dietary supplement. Niacin is also available in as an extended release prescription. Niacin side effects may include flushing, itching, and stomach upset. Your liver functions may be closely monitored, as niacin can cause toxicity. Immediate release forms of niacin usually have the most side effects, especially at higher doses. Niacin is used cautiously in diabetic patients as it can raise blood sugar levels. Consult your doctor before starting any niacin therapy. Examples of long acting niacin preparations are polygel extended release niacin (Slo-Niacin®) and prescription extended release niacin (Niaspan®). The non-HDL cholesterol (non-HDL-C) is a calculated measurement. It contains all known and potentially atherogenic lipid particles, including LDL cholesterol (LDL-C), lipoprotein(a), and VLDL cholesterol. It can be calculated by subtracting the HDL cholesterol from the total cholesterol (TC-HDL= non-HDL). This measurement may be particularly useful in certain patients, such as those with type 2 diabetes and those with high triglycerides. The treatment of non-HDL cholesterol is the secondary treatment goal of patients with triglycerides over 200 mg/dL. Goals for treatment are less than 30 mg/dL above the established LDL cholesterol level for each risk group. *Recent studies have suggested further reduction in risk with more intensive LDL-lowering therapy in patients at very high risk. Some physicians may recommend a LDL goal of 70 mg/dL for these patients, in which case the non-HDL goal would be lowered to 100 mg/dL. Conditions or habits other than high LDL cholesterol levels that increase a person's risk of developing coronary heart disease events. Non-LDL cholesterol risk factors include age and gender (males at or beyond age 45, females at or beyond age 55), a history of early onset (before age 55 in a male or age 65 in a female) coronary heart disease in a first degree relative (parent, brother, sister or child), cigarette smoking, high blood pressure (higher than or equal to 140/90 mmHg), insulin resistance, diabetes, obesity, physical inactivity, low HDL cholesterol, and high triglycerides. Conditions or habits other than abnormal cholesterol and triglyceride levels that increase a person's risk of developing coronary heart disease events. Nonlipid risk factors include age and gender (males at or beyond age 45, females at or beyond age 55), a history of early onset (before age 55 in a male or age 65 in a female) coronary heart disease in a first degree relative (parent, brother, sister or child), cigarette smoking, insulin resistance, diabetes, obesity, physical inactivity, and high blood pressure (higher than or equal to 140/90 mmHg). Risk factors you are unable to control or change. Examples of non-modifiable risk are age, race, gender, and family history. Obesity is defined simply as an excess of body fat. Your body is made up of water, fat, protein, carbohydrate and various vitamins and minerals. If you have too much fat - especially in your waist area - you are at higher risk for health problems, including high blood pressure, high blood cholesterol, diabetes, heart disease and stroke. Lowers HDL "good" cholesterol, which is linked with lower risk. In some people, diabetes has a strongly adverse effect on these risk factors. In them, the resulting danger of heart attack is especially high. Even when there are no adverse effects on the known risk factors, obesity alone imparts an increase in risk. Obesity also has many other harmful effects beyond those on the heart and blood vessel system. It is a major cause of gallstones and it can worsen degenerative joint disease. Obesity is mainly caused by taking in too many calories and not getting enough exercise. When caloric intake is excessive, often some of the excess is saturated fat, which further raises blood cholesterol. Dietary cholesterol intake also may be high. Thus, obesity contributes to higher coronary risk in a variety of ways. In July of 2004, the National Cholesterol Education Program (NCEP) issued an update of its cholesterol guidelines. In this update, they offered a lower, optional LDL cholesterol goal of less than 100 mg/dL for patients who considered to be moderately high risk. The presence of emerging risk factors such as elevated C-reactive protein (CRP) or high coronary calcium. Fasting glucose level higher than 100 mg/dL. Smaller waist criteria are appropriate for Asian Americans - greater than or equal to 35 in (88 cm) for males and greater than or equal to 31 in (79 cm) for females. Adults of other races or ethnicities who have slightly increased waist sizes (37-39 inches for men and 31-34 inches for women) may have genetic factors that could contribute to insulin resistance. Patients receiving drug therapy for high triglycerides, low HDL cholesterol, high blood pressure, or high blood sugar are considered to have those risk factors. In July of 2004, the National Cholesterol Education Program (NCEP) issued an update of its cholesterol guidelines. In this update, they offered a lower, optional LDL cholesterol goal of less than 70 mg/dL for patients who were considered to be very high risk. Short for peripheral arterial disease, PAD is often used interchangeably with PVD (peripheral vascular disease). Physical inactivity is a major risk factor for developing coronary heart disease (CHD). It also contributes to other risk factors for coronary heart disease, including obesity, high blood pressure, a low level of HDL ("good") cholesterol, and diabetes. Regular aerobic physical activity increases your capacity for exercise. It also plays a role in both primary and secondary prevention of cardiovascular disease. Physical inactivity and cardiovascular mortality are linked. High blood pressure - Regular exercise is associated with lower blood pressure. Cigarette smoking - Smokers who exercise vigorously and regularly are more likely to cut down or stop smoking. Diabetes - People at their ideal weight are much less likely to develop diabetes. Exercise may also decrease a diabetic's insulin requirements. Obesity and overweight - Exercise can help people lose excess fat or stay at a reasonable weight. Low levels of HDL - Low levels of HDL ("good") cholesterol (less than 40 mg/dL in a male or less than or equal to 50 mg/dL in a female) have been linked to a higher risk of coronary artery disease. Recent studies show that regular physical activity significantly increases HDL cholesterol levels, and thus reduces your risk. The typical American diet is poor in plant sterols and stanols, with a range of approximately 200 to 400 mg each day (0.2 to 0.4 grams). Even vegetarians tend to get less than 2 grams per day with an average range of roughly 600 to 800 mg (0.6 to 0.8 grams). Sources of larger amounts of sterols include vegetable oils and special margarines (100 and 500mg/3.5 ounces), legumes (up to 220mg/3.5 ounces), and some seeds (up to 700mg/3.5 ounces). The FDA has recognized the beneficial effect of plant sterols and allows foods with at least 0.65 grams of vegetable oil sterol esters per serving, where at least two servings are provided, to claim that, when eaten twice a day as part of a diet low in saturated fat and cholesterol, they may reduce the risk of heart disease. Note: 1 gram is equal to 1000 mg.
A cholesterol laden buildup on the interior wall of blood vessels. After years it may become calcified and hard. Fat chains have places where hydrogen can be attached. When all potential hydrogen spots are filled, the fat is "saturated". When all potential hydrogen spots are not filled, the fat is "unsaturated". If multiple spots are empty, the fat is "polyunsaturated." Polyunsaturated fats can help lower cholesterol when substituted for saturated fats. They are often liquid at room temperature. Examples include safflower, soybean, corn, and sunflower oil. Even though they can help reduce your LDL cholesterol levels, they are still high in calories and should not be used in excess. In the treatment of various conditions including lipid abnormalities, treatment is initially directed at a particular part of the condition before other components are addressed. In the majority of cases of lipid abnormalities, lowering the LDL cholesterol level is the primary target of therapy as it is very strongly associated with the development of atherosclerosis and the occurrence of cardiac events. In some people, lowering their LDL cholesterol levels also lowers their overall risk of coronary heart disease enough that they do not require additional therapies. A condition in which the arteries that carry blood to the arms or legs can become narrowed or clogged and may stop blood flow to that extremity. This causes pain with activity. PVD that is symptomatic is often treated with anticoagulation and thrombolytic medicines, or may be treated surgically with a bypass graft (a synthetic vessel is used to go from the area above the blockage to the area below the blockage and bypass the block) in that extremity. Diabetes, hypertension, and hyperlipidemia are risk factors for PVD. The presence of PVD puts patients in the highest risk category of coronary heart disease and is a coronary heart disease risk equivalent. PVD may also be called peripheral arterial disease (PAD). Regular exercise plays an important part in health promotion and disease prevention. Modest exercise of approximately 3-5 hours of brisk walking a week has been shown to decrease mortality in patients with coronary heart disease (CHD). To limit your risk of heart disease, the AHA recommends that you exercise for 30 minutes on most if not all days. Physical inactivity is a major, underlying risk factor for coronary heart disease. Regular physical activity reduces VLDL cholesterol, raises HDL cholesterol, decreases triglycerides, and, in some persons, lowers LDL cholesterol. It can lower blood pressure, reduce insulin resistance, and favorably influence cardiovascular function. Resins, also known as bile acid sequestrants, are a class of cholesterol lowering medicines that work in the gastrointestinal system to prevent the absorption of cholesterol. They are free of serious side effects, but the timing of doses, other medications, and meals is important because resins can decrease the absorption of other substances. The most common side effect of bile acid sequestrants is constipation. They may increase triglycerides a small amount. Examples of available bile acid sequestrants are cholestyramine (Questran®, Prevalite® and LoCHOLEST®) colestipol (Colestid®), and colesevelam (Welchol®). An acute, potentially fatal condition involving the breakdown of muscle cells into the bloodstream. The breakdown products of the muscular destruction are removed from the body by the kidneys and excreted into the urine. A condition or behavior that can cause or worsen a disease state. Fat chains have places where hydrogen can be attached. When all potential hydrogen spots are filled, the fat is "saturated". When all potential hydrogen spots are not filled, the fat is "unsaturated". Saturated fats are typically solid at room temperature. Saturated fats include animal fats, palm oil, coconut oil. Saturated fats can be found in several foods including butter, cheese, whole milk, ice cream, fatty meats, processed foods and fast foods. A reduced intake of saturated fats is recommended because they can raise your LDL cholesterol levels. Hyperlipidemia caused from abnormalities of other organ systems of the body or from medications. Once the primary target of therapy has been addressed, treatment may move on to secondary targets. Examples of secondary targets in coronary heart disease include high triglyceride levels, high non-HDL cholesterol levels, and low HDL cholesterol levels. Secondary targets may become primary targets in some high risk individuals who have low LDL cholesterol levels. Selective cholesterol absorption inhibitors are a new class of cholesterol-lowering medications that work by preventing the absorption of cholesterol from the intestine. The first medication of this class, ezetimibe (brand name Zetia®), was approved in 2002 for the treatment of high cholesterol and certain inherited lipid abnormalities. Selective cholesterol absorption inhibitors are most effective at lowering the LDL (bad) cholesterol, but may also have modest effects on lowering triglycerides (blood fats) and raising HDL (good) cholesterol. Cigarette smoking is an important preventable cause of premature death. Male smokers tend to die 13.2 years earlier than non-smoking men, and female smokers tend to die 14.5 years earlier than women who do not smoke. Cigarette smokers have a greater risk of developing chronic disorders such as atherosclerosis, several types of cancer, and chronic obstructive pulmonary disease ("emphysema"). The ratio of high-density lipoprotein (HDL) cholesterol to low-density lipoprotein (LDL) cholesterol is lower in cigarette smokers than in nonsmokers. Smoking also increases triglyceride levels. Many studies detail the evidence that cigarette smoking is a major cause of coronary heart disease, which may lead to heart attacks. 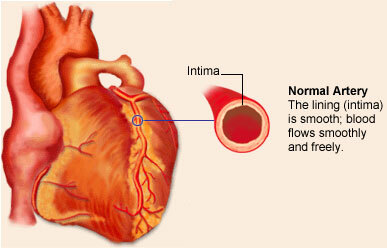 Atherosclerotic cardiovascular disease (clogged arteries) is the chief contributor to the excess deaths from smoking. Of the 2.4 million deaths that occur each year in the United States, smoking accounts for more than 438,000. Cigarette and tobacco smoking, high blood cholesterol, high blood pressure, physical inactivity, obesity, and diabetes are the six major independent risk factors for coronary heart disease that you can modify, treat, or control. Cigarette smoking also seems to interact with other risk factors in such a way that it magnifies the risk attributable to the other factor. For women, combining smoking with oral contraceptives causes an even high risk of coronary heart disease and stroke. People who smoke cigars or pipes seem to have a higher risk of death from coronary heart disease (possibly stroke), but their risk is not as great as cigarette smokers. There is very little scientific information on cigar and pipe smoking and cardiovascular disease at this time. Several studies document the health hazards posed by passive smoking (also called secondhand smoke and environmental tobacco smoke). However, more research is needed to uncover the effect of passive smoking on the heart and blood vessels. It is estimated that from 37,000 to 40,000 people die from disease caused by breathing other people's smoke each year. Scientific studies have shown that diets low in saturated fat and cholesterol can help reduce your risk of coronary heart disease. The addition of soluble fiber to foods low in saturated fat and cholesterol may also help to reduce coronary heart disease risks. Any food that makes this claim must have information about the amount of soluble fiber that is contained on its label. Other sources of soluble fiber include barley, apples, bananas, berries, citrus fruits, nectarines, peaches, pears, plums, prunes, broccoli, Brussels sprouts, carrots, dry beans, peas, and soy products. The medicines of first choice for treating high LDL cholesterol are typically the "statins"; atorvastatin (Lipitor®), fluvastatin (Lescol®) lovastatin (Altoprev and Mevacor®), pravastatin (Pravachol®), rosuvastatin (Crestor®), and simvastatin (Zocor®). Statins are also found in the combination medications Advicor® (lovastatin + niacin), Pravigard PAC® (pravastatin + aspirin), Caduet® (atorvastatin + amlodipine), and Vytorin (simvastatin + ezetimibe). Also known as HMG CoA reductase inhibitors, statins work in the liver to prevent the formation of cholesterol. Because they work in the liver, liver function tests must be done on a regular basis. Statins are most effective at lowering the LDL (bad) cholesterol, but also have modest effects on lowering triglycerides (blood fats) and raising HDL (good) cholesterol. Statins are the most studied class of cholesterol lowering medications and are beneficial to most people. They are easy to administer, have high patient acceptance, and have relatively few drug-to-drug interactions. Myopathy, a muscle problem that can cause pain, is the main side effect. Patients who are pregnant, have active or chronic liver disease, or those allergic to statins should not use them. Stenosis means constriction or narrowing. A coronary artery that is constricted or narrowed is referred to as stenosed. The artery may be clogged by the buildup over time of fat, cholesterol and other substances. An interruption of blood flow to the brain causing paralysis, slurred speech, and/or altered brain function. It may be caused by a blood clot blocking circulation, or bleeding into brain tissue causing tissue damage. Also known as cerebrovascular accident (CVA). The thyroid gland is in the front of the neck. Thyroid hormone produced by the gland plays a major role in normal growth, development, and energy metabolism. The hormone enhances the release of free fatty acids from fat (adipose) tissue to provide an important fuel source for muscles. Hyper- (too much) and hypo- (too little) thyroid can both have serious negative effects on the heart. With too much thyroid (hyperthyroid), arrhythmias such as a too rapid heart beat (tachycardia) and early contractions originating in the heart ventricle (multifocal premature ventricular contractions) may contribute to heart-related chest pain (angina). Conversely, too little thyroid (hypothyroid) may increase risk for atherosclerosis. Both of these conditions can be diagnosed by blood testing. Thyroid disease is systemic, which means it can effect the whole body. The gastrointestinal, hematologic, endocrine, reproductive, musculoskeletal, and nervous systems can all be affected. Keeping your total cholesterol below 200 mg/dL can reduce your risk of heart attack. Total cholesterol (TC) refers to the sum of the cholesterol types in your blood. It is a good screening measurement but may not provide enough information. For many patients, especially those with previous history of coronary heart disease or diabetes, a more specific measurement is needed. Research data have shown that a total cholesterol level of under 200 mg/dL is desirable. Generally, the higher the cholesterol, the higher the risk. Every time cholesterol drops by one point, the risk of heart disease drops by 2%. Ideal cholesterol levels are determined by each individual's risk factors. All adults age 20 years or older should have a fasting cholesterol panel every 5 years. Men over 45 years old and women over 55 years old and people with a family history of high cholesterol need to have their levels checked more regularly (every year or two). Fats formed when unsaturated fats are hydrogenated. Fat chains have places where hydrogen can be attached. When all potential hydrogen spots are filled, the fat is "saturated". When all potential hydrogen spots are not filled, the fat is "unsaturated". Trans-fats are the result of adding hydrogen to unsaturated fats. Trans-fats are hard at room temperature and can be found in vegetable shortening, some margarines, cookies and crackers, many snack foods, and many fried foods. Trans-fats should be avoided because they can raise LDL (bad) cholesterol and lower HDL (good) cholesterol. Triglycerides and cholesterol form the major blood plasma lipids. Triglycerides are a common type of fat carried in the bloodstream and provide an energy source for the body. A normal triglyceride level is less than 150 mg/dL. Triglycerides are classified as borderline high if they are between 150 and 199 mg/dL, high if they are between 200 mg/dL and 499 mg/dL, and very high if they are 500 mg/dL or greater. Like cholesterol, increases in triglyceride levels can be detected by blood testing, and are usually part of the standard "lipid panel." These measurements should be made after an overnight food and alcohol fast. Elevated plasma triglyceride is called hypertriglyceridemia. It is linked to the occurrence of coronary heart disease in some people. Borderline high to high triglycerides are often associated with an excess of small LDL cholesterol and low HDL cholesterol, and are often a component of the metabolic syndrome, a group of conditions that increase an individual's risk of coronary heart disease at any LDL cholesterol level. See the glossary term "metabolic syndrome" for more information. Very high triglycerides may signify an even greater potential for plaque formation with a worse magnitude of small LDL cholesterol excess and low HDL cholesterol. Also, very high triglycerides increase the risk of inflammation of the pancreas, called pancreatitis. The risk of pancreatitis increases with increasing triglyceride levels and may warrant immediate treatment with triglyceride-lowering medications. People with elevated triglycerides typically have increased VLDL cholesterol levels as well. Very low density lipoproteins (VLDLs) are the major carrier proteins of triglycerides in the blood. While VLDL cholesterol is not measured as part of the standard lipid profile, it can be added to the LDL cholesterol as a secondary target for cholesterol lowering. The combination of VLDL cholesterol and LDL cholesterol is known as non-HDL cholesterol. It can be calculated by subtracting the HDL cholesterol from the total cholesterol (TC-HDL=Non-HDL-C). The target level for non-HDL cholesterol is 30 mg/dL above the LDL cholesterol target. Also, when triglycerides are greater than 400 mg/dL, LDL cholesterol may not be the best measure of cardiac risk. Therefore, non-HDL cholesterol is used as a secondary target of therapy. If you are overweight, cut down on calories to reach your ideal body weight. This includes all sources of calories; fats, proteins, carbohydrates and alcohol. Reduce the saturated fat and cholesterol content of your diet. Reduce your intake of alcohol considerably. Even small amounts of alcohol can lead to large changes in plasma triglyceride levels. Be physically active for at least 30 minutes on most days each week. People with high triglycerides may need to substitute monounsaturated and polyunsaturated fats -- such as those found in canola oil, olive oil or liquid margarine -- for saturated fats. Substituting carbohydrates for fats may raise triglyceride levels and may decrease HDL ("good") cholesterol in some people. Substitute fish high in omega-3 fatty acids instead of meats that are high in saturated fat like hamburger. Fatty fish like mackerel, lake trout, herring, sardines, albacore tuna and salmon are high in omega-3 fatty acids. Because other risk factors for coronary artery disease multiply the hazard from hyperlipidemia, control high blood pressure and avoid cigarette smoking. If drugs are used to treat hypertriglyceridemia, dietary management is still important. Patients should follow the specific plans laid out by their physicians and nutritionists. Diabetes can lead to changes in the structure and function of blood vessels. One common complication is "hardening of the arteries," or atherosclerosis, which can lead to a heart attack. Blood vessels that supply other areas of the body are also affected. When small blood vessels are affected, it is called a "microvascular complication." When large blood vessels are affected, it is called a "macrovascular complication." The microvascular complications of diabetes include retinopathy, nephropathy, and neuropathy. Retinopathy (RET·i·NOP·a·thy) occurs when the small blood vessels of the eye get blocked and become leaky. Retinopathy is the most common cause of blindness in people between the ages of 30 and 69 years. Approximately 1 in 5 (20%) individuals with type 2 diabetes have retinopathy by the time their diabetes is diagnosed. Regular eye screening is important to monitor for the development or progression of retinopathy. Nephropathy (neh-FROP-eh-thee) occurs when the small blood vessels of the kidney are affected. The kidneys play an important role in keeping body fluids in balance, ridding the body of wastes, and managing blood pressure. They also produce a substance that stimulates red blood cell production in the marrow. Red blood cells carry oxygen in the blood stream. Signs of kidney damage from nephropathy include protein in the urine and increasing blood pressure. If allowed to progress, it can lead to end-stage renal disease, or kidney failure, which requires treatment with dialysis to survive. Urine tests for protein are used to diagnose nephropathy. Neuropathy (nyu·ROP·a·thee) is a condition in which the tiny blood vessels that supply nerves are damaged. This results in loss of sensation, frequently starting in the feet. Frequent foot exams are used to watch for evidence of neuropathy. These exams include a check for foot injuries or ulcers and the use of a special fiber (monofilament) to test for sensation. Careful screening can help identify problems early and prevent some of the foot complications of diabetes. Macrovascular complications of diabetes include coronary heart disease, vascular disease in the arms legs, hands and feet; stroke, and erectile dysfunction. People who have diabetes are between 2 and 20 times more likely to have a heart attack (myocardial infarction) than people their age who do not have diabetes. Their heart disease tends to be more generalized; they tend to have widespread narrowing of the blood vessels that supply the heart as opposed to have more distinct areas of narrowing. When they do have a heart attack, they are more likely to have complications. If they have a procedure performed to widen the blood vessels of the heart (percutaneous coronary intervention), they are more likely to have the treated area re-narrow than patients who do not have diabetes. Peripheral vascular disease, narrowing of blood vessels that supply areas of the body such as the legs and arms, is another macrovascular complication. Similar to the vascular disease of the heart, peripheral vascular disease tends to be more widespread, making it difficult to treat with a bypass or a procedure to widen one artery. The combination of peripheral vascular disease and neuropathy is particularly important as the lack of sensation may cause an injury to go unnoticed. With the poor blood supply, the injury has a hard time healing. This can lead to serious complications such a the need for an amputation. Poor blood supply can also cause tissue breakdown and ulceration on its own. Stroke can be hemorrhagic, which is bleeding in the brain, or thrombotic, where a clot or other blockage cuts off blood supply to part of the brain. Thrombotic stroke occurs more frequently in individuals who have diabetes than in people who do not have diabetes. People who have diabetes also tend to have a worse outcome than those who do not. Erectile dysfunction, or the inability to achieve or maintain an erection, occurs in roughly half of men over the age of 50 who have diabetes. This compares to only 15 to 20% of men over 50 who do not have diabetes have erectile dysfunction. Good control of blood sugar levels, blood pressure, and lipid levels can help reduce the risk of developing the vascular complications of diabetes. Screening can help to detect problems in the early stages so efforts can be made to prevent progression. It is important to talk with your doctor if you think you might have a vascular complication of diabetes, so that appropriate measures can be taken. Very low density lipoproteins are mainly composed of triglycerides and are thought to contribute to the development of atherosclerosis. VLDL cholesterol in not typically measured in a standard lipid panel. VLDL cholesterol levels can be approximated by subtracting the HDL cholesterol and LDL cholesterol levels from the total cholesterol level. Waist measurement is a sensitive indicator of abdominal obesity. Abdominal obesity is a risk factor for heart disease and other health problems. Abdominal obesity is an important risk factor in the diagnosis of metabolic syndrome. A waist measurement of 40 inches (102 cm) or greater in a man or 35 inches (88 cm) or greater in a woman is considered to represent abdominal obesity. Smaller waist criteria are appropriate for Asian Americans - greater than or equal to 35 in (88 cm) for males and greater than or equal to 31 in (79 cm) for females. Individuals who are overweight can help lower their LDL cholesterol by losing weight. This is especially important for those with a cluster of risk factors that includes high triglycerides (fats), low HDL ("good") cholesterol, high fasting blood sugar, high blood pressure, and a large waist measurement (abdominal obesity). Abdominal obesity is defined as a waist measurement greater than 40 inches for men or greater than 35 inches for women. Smaller waist criteria are appropriate for Asian Americans - greater than or equal to 35 inches for males and greater than or equal to 31 inches for females. Adults of other races or ethnicities who have slightly increased waist sizes (37-39 inches for men and 31-34 inches for women) may have genetic factors that could contribute to insulin resistance. The presence of at least three of the five risk factors is suggestive of metabolic syndrome, a condition that increases the risk for coronary heart disease at any given LDL cholesterol level. Metabolic syndrome is a secondary target of cholesterol therapy.